Green Bag America offers a range of to-go bags that are perfect for restaurants, coffee houses, convenience stores, pizzerias, and to use as promotional totes for giveaways and events. Our restaurant take-out bags can accommodate small to large to-go containers stacked on top of each other enabling you to carry 2-3 containers. Customize your eco-friendly reusable bags with stunning, professional silk screen, heat transfer, and full color printing options to showcase your company logo or artwork to represent your brand. 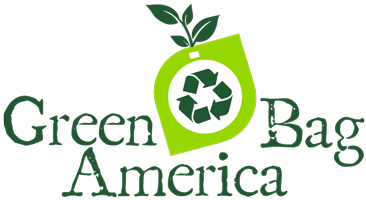 With Green Bag America’s reusable bag products, organizations can improve their company image while simultaneously offering clients and customers with attractive shopping and promotional bags that act as a free walking advertisement for your business. 10”H x 21.5”W x 13”D – Eco-friendly 80gsm non-woven catering bags are ideal when you need to carry food trays and large food containers. For luncheons, company picnics, and other events where food is a key issue and a great way to promote your business. 10”H x 13”W x 13”D – Eco-friendly 80gsm non-woven tote pizza to-go bags are made in a size that can accommodate the large pizza base, enabling you to carry 2 to 3 pizza boxes. Color options and print area enable you to showcase your brand. 9”H x 8”W x 8”D – Eco-friendly 80gsm non-woven restaurant to-go bag that is perfect for small to-go containers. A great choice by many food outlets and restaurants to wrap up take away food while acting as giveaways or promotional items. 12”H x 9.5”W x 9.5”D – Eco-friendly 80gsm non-woven restaurant to-go bag that is perfect for multiple to-go containers stacked on top of each other. Large imprint area for your company logo and message. Maximize your advertising dollars with this great to-go bag. 6”H x 10”W x 10”D – Eco-friendly 80gsm non-woven restaurant to-go bag perfect for most to-go containers simultaneously allowing restaurants to promote their brand with a large print area and multiple color options. 5.25”H x 6.25”W x 6.25”D – Eco-friendly 80gsm non-woven coffee to-go bag that holds up to 4 cups of coffee/drinks. Imprint area for your company logo and message. Maximize your advertising dollars with this great coffee to-go bag that is perfect for coffee houses, convenience stores, tea shops, and more! 17”H x 12”W – Eco-friendly 70gsm non-woven tote bag alternative to the plastic bags, and one of the most affordable options for those who want to advertise their company by printing on giveaway bags. They can be folded up and carried conveniently due to their small size.